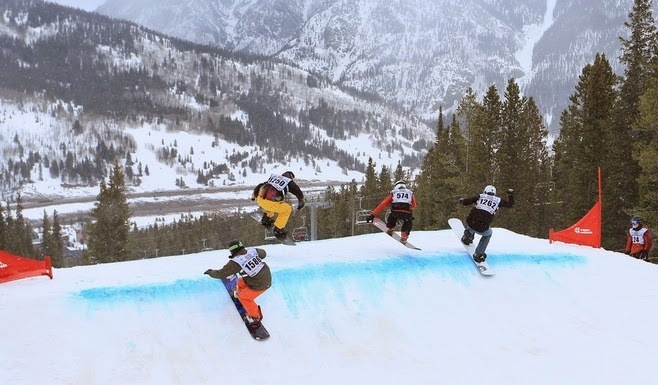 No matter how many TV ‘talking heads’, newspaper/magazine articles, or random chairlift conversations make mention of it, Boarder/Skicross is not like NASCAR. This comparison is inaccurate and using the reference as a talking point demonstrates a limited understanding of our sports and shows a complete lack of any research done before one assumes their role as ‘expert commentator’. Ever See This in a NASCAR Race? One might argue that the two sports are alike in that they both are races, sometimes have crashes/collisions during the events and there’s a lot of sponsor logos floating around on equipment. This is a flimsy line of reasoning as most motorsports are races, have occasional crashes and almost all gear is covered with lots of sponsor logos. Not nearly enough unique similarities to declare an official ‘match’. There are several separate Training Phases during these three time frames with specific physical adaptations expected from each. The whole season is planned out in advance, though may be adjusted depending on the particular needs, progress and competition schedule of each athlete throughout the year, though the overall template remains generally the same.